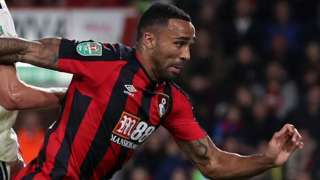 Callum Wilson scores in his first game since January as he helps Bournemouth beat Middlesbrough to move into the Carabao Cup quarter-finals. That's the end of our coverage for today. We hope you've had a good start to the week. You can stay up to date with everything that's happening in the region overnight with BBC Tees, BBC Newcastle, Look North and online. 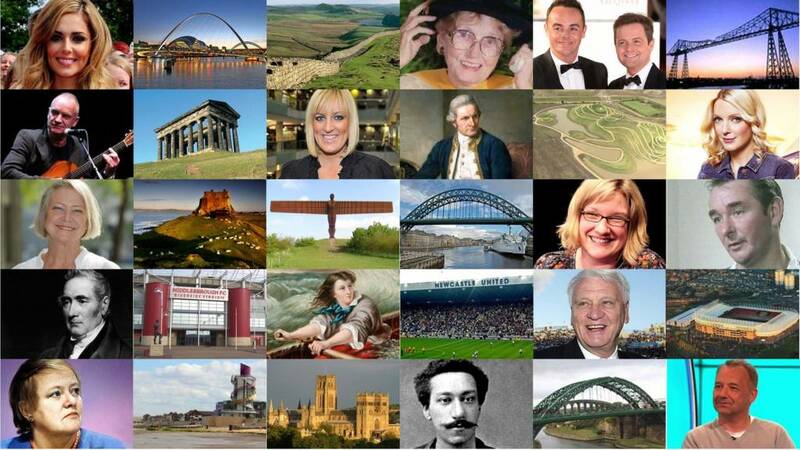 If you'd like to get in touch or share your North East pictures with us, you can do so on Twitter, Facebook or via email. We'll be back tomorrow at 08:00. A County Durham newspaper title has been resurrected more than 30 years after it ceased publication. The Despatch, printed by the parent company of The Northern Echo, was founded in 1914 but last came off the presses in 1986. Now, a new weekly Despatch is being circulated in Darlington and South West Durham. Its title is distributed free to a number of homes but it's also being sold for 30p. You can see my full report on Look North on BBC One at 18:30. Here's your weather summary for this evening and tonight in the North East. Many areas will remain dry overnight with some clear spells, but the odd shower can't be ruled out across the hills, and patchy rain may reach some western parts by morning. Head to the BBC Weather page to check the weather where you are. The TUC is calling for more power to be devolved to communities that have been "abandoned for a generation". A new report, based on studies including one in the Tees Valley, says Britain is "riven" with a number of inequalities and that a "great regional divide" could be bridged if more power was devolved from central government. Research showed that compared to the South East, children in the North East are twice as likely to live in workless households. In the places we looked at, there was no shortage of opportunities to create stronger industries and great jobs, but to unlock the potential of every part of the UK, we need to change how the economy works. That means devolving power and funding back to working people and their local communities". A Government spokesman said: "The Government is building an industrial strategy to address issues of uneven growth around the UK, and to consider how we can further strengthen our world-class businesses, sectors and regions so they can reach their full potential." Dashcam footage is being sought by Cleveland Police in an attempt to find the rider of a motorbike, suspected to be stolen, that collided with a van on Sunday. The collision took place at about 15:15 near the junction of Trunk Road and Corporation Road in Redcar. The driver made off towards Redcar Marshes immediately. He is described as 5ft 10in, white, in his late teens and wearing a "distinctive" red Berghaus puffa jacket and light grey jogging bottoms. A 19-year-old man was arrested on suspicion of theft and later released under investigation. Newcastle United take on Burnley at Turf Moor in the Premier League - listen to live BBC Radio 5 live coverage and follow text commentary. A man approached a 30-year-old woman near The Galleries Shopping Centre, in Washington, put his hand over her mouth and tried to kiss her, police said. The attacker made off after being confronted late on Saturday night. Officers believe the man, described as white and in his late teens, will have a lip injury as a result of the confrontation. As a result of the confrontation we believe the offender will have a lip injury and are keen to hear from anyone who may have information around this as well as anyone who was in the area around the time of the offence on Saturday night". One hundred and twenty members of staff at Consett company Northern Aerospace are currently on strike over shift changes. Unison says the changes could cost some workers up to several thousand pounds a year. A picket line has been formed at the site on the Number One Industrial Estate as part of the 12-hour strike. Northern Aerospace says the shift changes are due to a fall in customer orders and says the company has "worked hard to avoid job losses and minimise the reduction in incomes". The company also raised concern that "strikes will lead to a further drop in orders and even less work". The occupant of a house that was ransacked by burglars has been left "devastated" by the theft of a watch, which they are offering a reward for. The Rolex Oyster Perpetual Explorer 1016 was taken from the address on Beaminster Way in Kenton, Newcastle, during the incident which is believed to have taken place between 13:30 and 20:20 on 19 October. Burglars got into the house through the back window. The house was unoccupied at the time. The vintage Rolex is worth £6,000 and is said to be of great sentimental value to the occupant. A government audit that aims to establish the North East as a "globally competitive location" for the chemical and process sector will be led by the Tees Valley Combined Authority. Experts from a number of local institutions will carry out the audit, including Durham and Teesside Universities, the North East Process Industry Cluster, the Welding Institute and the Materials Processing institute. Twelve audits have been commissioned by the Department for Business, Energy and Industrial Strategy to support a government strategy that aims to grow the UK economy of chemical and process industries from £195 billion a year to £300 billion a year, over the next 13 years. Being awarded the leadership of the Science and Innovation Audit is a huge positive for Tees Valley and recognises the significance of our region’s businesses and skills in the chemical and process industries. The NHS hospital trust for Northumberland and North Tyneside is reminding people about its promise to go smoke free in six months time. The Northumbria Healthcare NHS Foundation Trust says smoking will not be permitted in any of its hospitals or grounds from the end of March next year. It says it's to help protect people from the harmful effects of second-hand smoke. 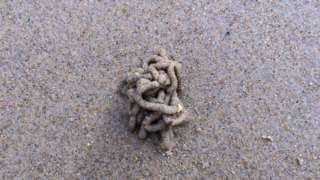 People are asked to take part in a beach survey to find out more about how the marine creatures mate. A Hartlepool pensioner has been knitting teddy bears for the Great North Air Ambulance Service to keep on its helicopters to provide comfort for children involved in accidents and emergencies. Pauline Robson, 84, has knitted 24 different teddy bears, which give emotional support to young people in distressing situations. Pauline said the GNAAS "needs to be supported". Air ambulance doctor Jeff Doran thanked her on behalf of the GNAAS. Intruders to Redcar Athetlic FC's turnstile block could have been electrocuted as they broke open a floodlight box containing live electrics. Former Newcastle player Malcom MacDonald is selling some of his personal sports mementos today in Essex. Known as 'Supermac', he was signed by Joe Harvey in 1971, scoring a hat-trick against Liverpool in his debut. He was the Magpie's top goal scorer every season from 1971 to 1976. Among the collection are caps, medals and shirts - including a match-worn shirt that he gave to AC/DC's lead singer Brian Johnson. The shirt was later returned when the Newcastle musician found out that his ex-wife was living with the footballer. The 67-year-old says he's keeping some items to pass on to his children, but the auction is for his fans. A slightly different start to the week for Tyne and Wear Fire and Rescue Service, who have helped remove a ring that was stuck on somebody's finger. A couple who attacked a man in a dispute over the sale of a car have been spared jail. A Teesside clothes bank has been helping people get back into work by providing them with outfits for interviews. Since 2016, Trending Middlesbrough has helped 593 people and has handed out 2,496 items of clothing. Service providers say they aim to reduce the stigma attached to clothing donations. They are based on the Riverside Park industrial estate but also have a 'virtual shop' where users can bid for free items online. Paul Wales, from Trending Middlesbrough, says people come to them for a variety of reasons including money issues and one family whose house became infested with ants. We've had people come from Middlesbrough College who've had an apprenticeship interview but didn't have any clothes so we kitted them out and they got the apprenticeship". Service user Sarah felt "comfortable and incredibly welcome" when she was given clothes for an interview. I recently had a job interview and I was incredibly self-conscious. Due to my financial difficulties I didn't necessarily have the money to buy clothes. They let me look through clothes at my own pace".